If you already thought the cast of Outlander was great, get ready for a fantastic new addition. 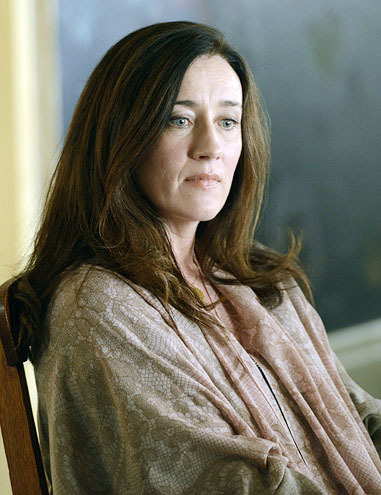 Maria Doyle Kennedy is joining season four of Outlander as Jocasta, the aunt of Jamie (Sam Heughan). 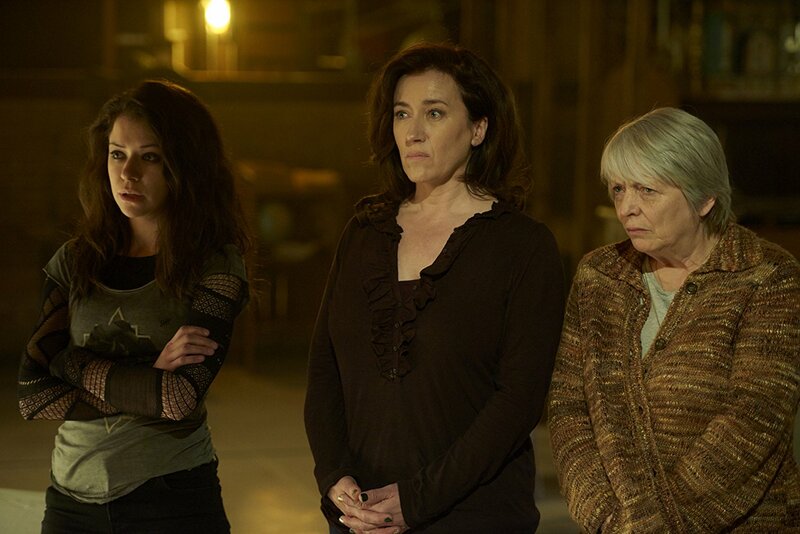 Maria Doyle Kennedy may look familiar as she just wrapped up starring in Orphan Black. 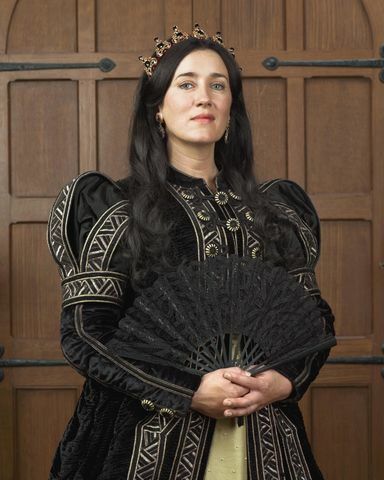 She also starred in The Tudors. She has starred in the films The Conjuring 2 and Sing Street. She has many other credits to her name which you can peruse at IMDb. Jocasta Cameron Innes is the youngest sister of Ellen, Colum, and Dougal MacKenzie. She grew up with her siblings at Castle Leoch and was very fond of them all. She was a very skilled artist, like her sister, before she gradually lost her sight. She has married four men, the most recent of which is Duncan Innes. Jocasta is described as a striking woman that exudes a sensual vitality. She is possessed of the broad cheekbones and high, smooth brow that Claire had observed of Jocasta’s brothers, Colum and Dougal, many years before, as well as the striking height and presence of her nephew and great-niece. She has white hair with a tinge of ruddiness to it, suggesting that it might once have been as red as Jamie’s. When Claire and Jamie first meet Jocasta at River Run, Claire makes note of Jamie’s response to his aunt’s appearance, and surmises that Jocasta likely bore a great resemblance to her older sister Ellen, Jamie’s mother. Jocasta meets her nephew and his wife Claire, as well as her great-nephew Ian, when they arrive in summer of 1767. You can follow Maria Doyle Kennedy on Twitter, Instagram, and she has an official website. This entry was posted in Maria Doyle Kennedy, TV Show News and tagged Casting, Jocasta, Maria Doyle Kennedy, Season Four by Sarah Ksiazek. Bookmark the permalink.